After the success of game #1, we reprised the game for the people who couldn't make the first one. The second “training game” was last night. Essentially set-up the same as the first, it ran smoothly & although we didn’t finish (only getting to Turn 6 as we lingered too long over home made bruschetta and pizza & beer) I can confidently say we are now all au fait with the rules & can confidently move onto bigger & better things . 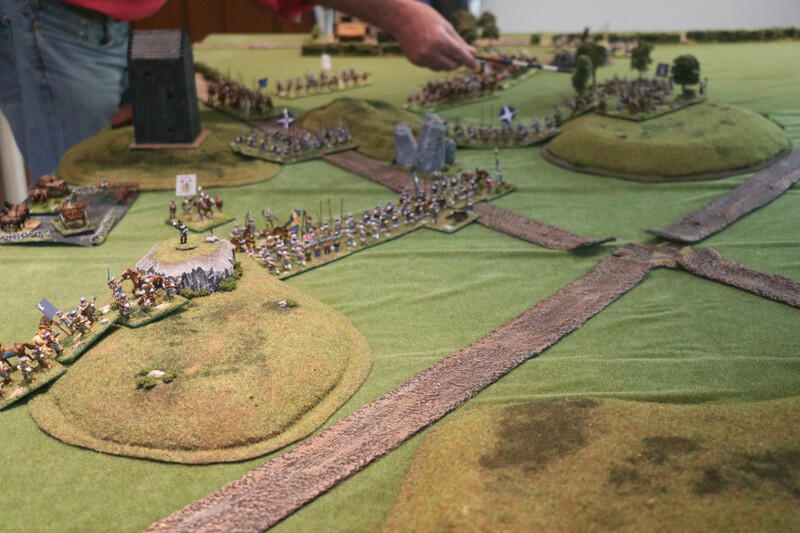 The outcome was leaning towards the Royalists but the Covenanters put up a much better fight of it compared to the earlier game. 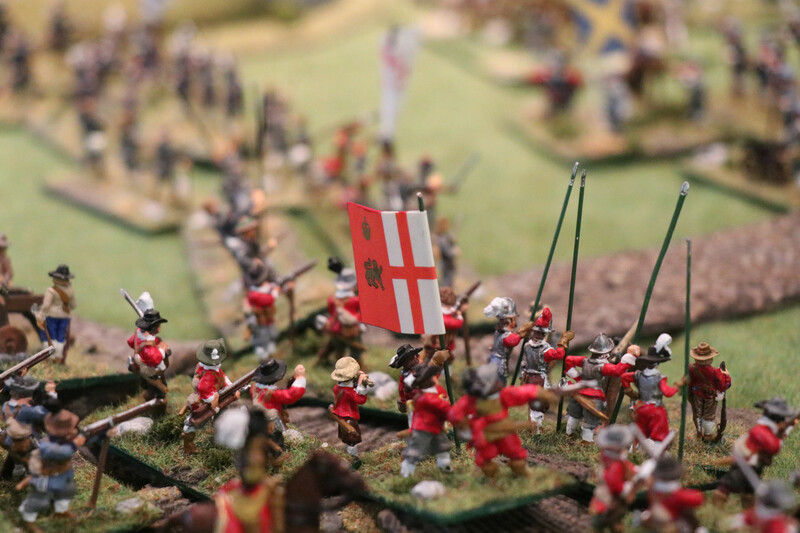 It seems to me as long as you use terrain well, put up a spirited aggressive defence, & probably have Royalist Horse trot 3 ranks deep in front of your artillery, they are a competitive force. 2. I think the Highlanders need a ‘Charge Bonus’. No one gets one in FoG but I think they merit a small increment to mirror their ferocity: say 1 MU? The altered artillery rules had no impact (ie adding a dice per gun at Short Range) as no one was foolish enough to get into short range of them. 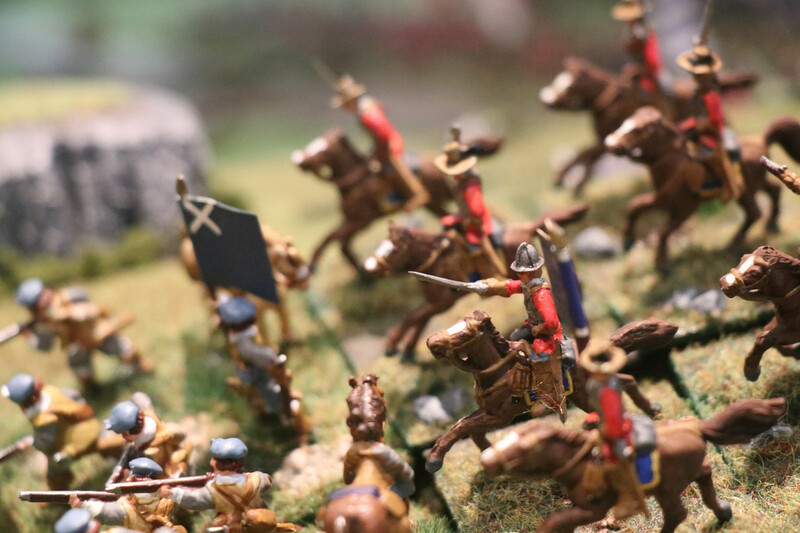 The Scots’ medium artillery BG *did* have an impact against Royalist cavalry in 3 ranks (thus getting a + in the PoA). Another game , say mid January with a scenario & objectives (ie a “proper” game) has been pencilled in.